I'm proud to write that today beaTunes 4.6 will be available for download as a free update for existing beaTunes 4 customers. Probably the most important new feature is the much improved high-resolution display support for Windows (sometimes referred to as HD or 4k). Yay! No more squinting to read an artist's name! As Windows hardware has slowly caught up with Apple's early Retina offensive and the Windows OS has started to support HiDPI displays much better, it was definitely time for this step. What was holding me back, was Java 8's lack of HiDPI support for Windows. To this day, there is still plenty wrong with it, so I had to build a few workarounds. Still, if you're using Windows with a high-resolution display, you will eventually notice some left-over rough edges, e.g. slightly odd-looking file dialogs. Those are presented by the Java Runtime Environment and pretty impossible to fix without patching the runtime itself. Luckily, the Oracle Java team is working hard to bring better HiDPI support to Java 9 and hopefully backports some fixes in the process. It may just be a matter of time, until all the little things are resolved. You may ask, why ship something that's not perfect? Well, in my humble opinion, before today's update beaTunes was mostly broken on Windows HiDPI displays. With today's release it's 99% fixed—offering 100% of its functionality. If you ask me, that's a much better state of affairs. Besides the obvious user interface changes, a bunch of things under the hood were improved. Writes to the internal database are now coalesced. In essence that means that a song property change is not persisted right away, but with a short delay. 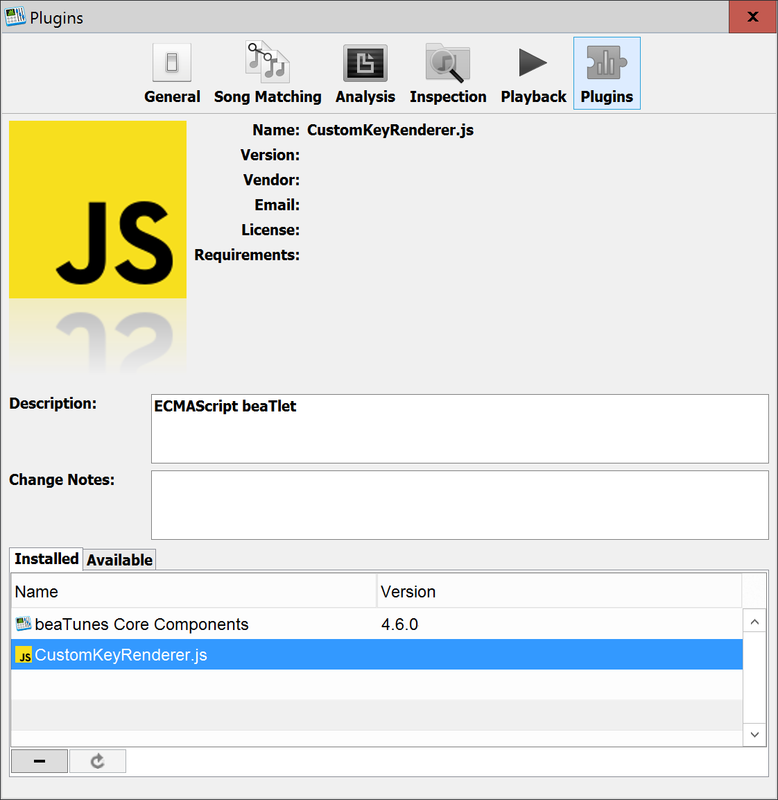 If other properties of the same song are also changed during this delay, these multiple write operations are combined into a single one. Especially during analysis of many different properties (e.g. key, BPM, ...) this behavior helps to avoid unnecessary database operations and thus reduces overall analysis time. 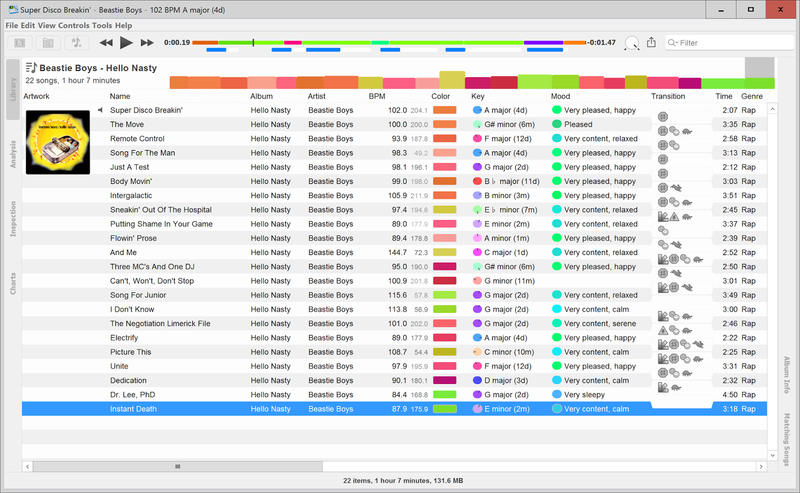 Pretty much with every minor (not micro) beaTunes update, an inspector gets a little makeover. For beaTunes 4.6, the English capitalization rules received some well-deserved love. For those of you, who've never noticed its existence, this inspector only shows problems, if the song language is known (different language, different rules). 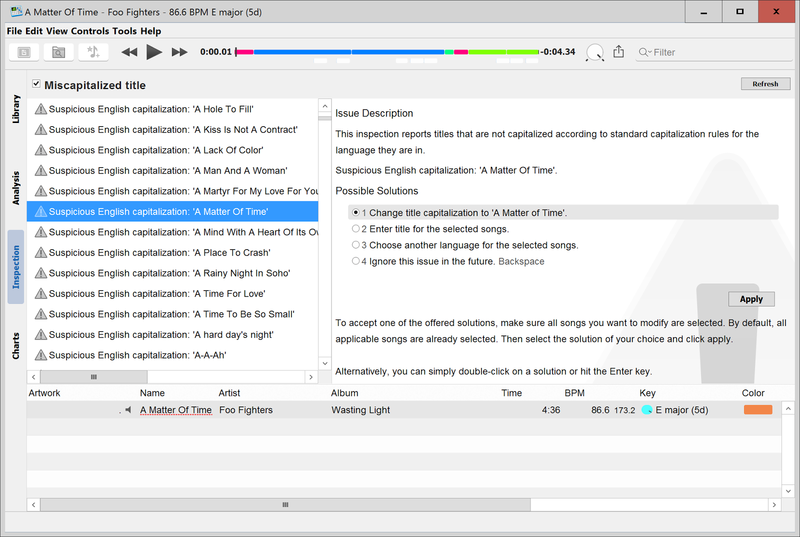 Prior to inspection, you can let beaTunes determine song languages automatically via the corresponding analysis task. Results are more accurate, if the lyrics are available. To make a long story short—the inspector has been rewritten and the results are much better now. A couple of other minor things have been fixed or improved. E.g. 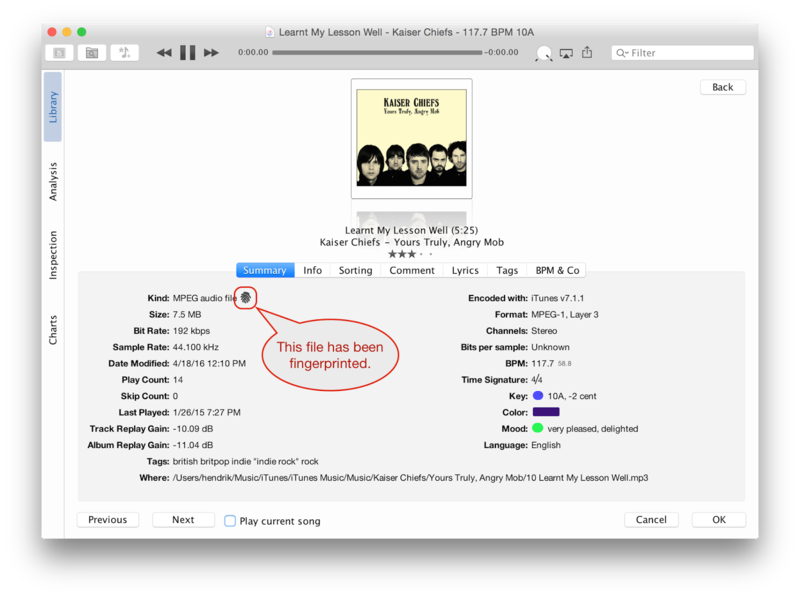 the Get Info dialog now shows a little icon to indicate whether a song has already been fingerprinted. And the visible column dialog finally contains proper descriptions for the columns Issue, DRM, and Enabled. The Windows installer is now properly signed (I know, this should have happened a long time ago). The 32-bit version does not depend on Apple's QuickTime anymore, which turned out to be a serious security risk. I hope you enjoy this free update. As always, you can download it from the download section of the website. Fixed relative salience error on 0 BPM. Fixed some English capitalization rules. Fixed missing artist in Album Info pane. Fixed writing of last played date on Windows. Fixed sorting by Album Replay Gain. Fixed DNS lookup during database ops (caused by URL.equals()). Improved performance, via coalesced database writes (reduced disk IO). Improved some analysis error messages. Improved "Analyze New"-behavior: Use last sync as reference point. Improved "Album Info" to more often show actually useful info. Improved HiDPI support for Windows. Added fingerprint icon to Get Info pane. Added signature to Windows installer. Added index column to visible columns popup. Removed QuickTime for Windows dependency (32bit).